Here’s a species of tree you might not see growing wild in your area. Kurrajong bottle trees (Brachychiton populneus) are hardy evergreens from Australia with bottle-shaped trunks that the tree uses for water storage. The trees are also called lacebark Kurrajongs. This is because the bark of the young trees stretch over time, and the old bark forms lacy patterns on the new bark beneath. Growing a Kurrajong bottle tree is not difficult since the species is tolerant of most soils. 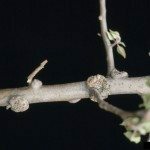 Read on for more information about bottle tree care. The Australian bottle tree is a pretty specimen with a rounded canopy. It rises to some 50 feet high and wide, offering an evergreen canopy of shiny, lance-shaped or lobed leaves several inches long. It is fairly common to see leaves with three lobes or even five lobes, and Kurrajong bottle trees do not have thorns. The bell-shaped flowers are even more attractive when they arrive in early spring. They are creamy white, or off-white, and decorated with pink or red dots. In time, the flowers of the Australian bottle tree develop into edible seeds that grow encased in pods. The pods themselves appear in clusters in a star pattern. The seeds are hairy but, otherwise, look something like corn kernels. These are used as food by the Australia aborigines. Growing a Kurrajong bottle tree is a rapid business, since this little tree gets to its mature height and breadth in no time. The principal growing requirement of the Australian bottle tree is sunshine; it cannot grow in shade. In most ways the tree is undemanding. It accepts almost any type of well-drained soil in U.S. Department of Agriculture plant hardiness zones 8 through 11, including clay, sand and loam. It grows in dry soil or moist soil, and tolerates both acidic and alkaline soil. However, if you are planting an Australian bottle tree, plant it in direct sun in a moderately fertile soil for best results. Avoid wet soil or shady areas. Kurrajong bottle trees are not demanding about irrigation either. 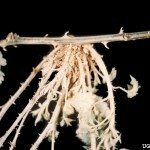 Bottle tree care involves providing moderate amounts of water in dry weather. The trunks of Kurrajong bottle trees store water, when it is available. 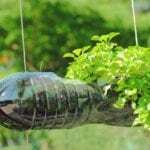 Read more articles about Bottle Trees.